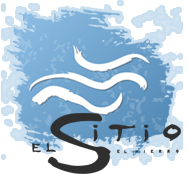 El Sitio is perfect for lone travellers, small groups, couples and anyone looking to reconnect with their deeper selves. 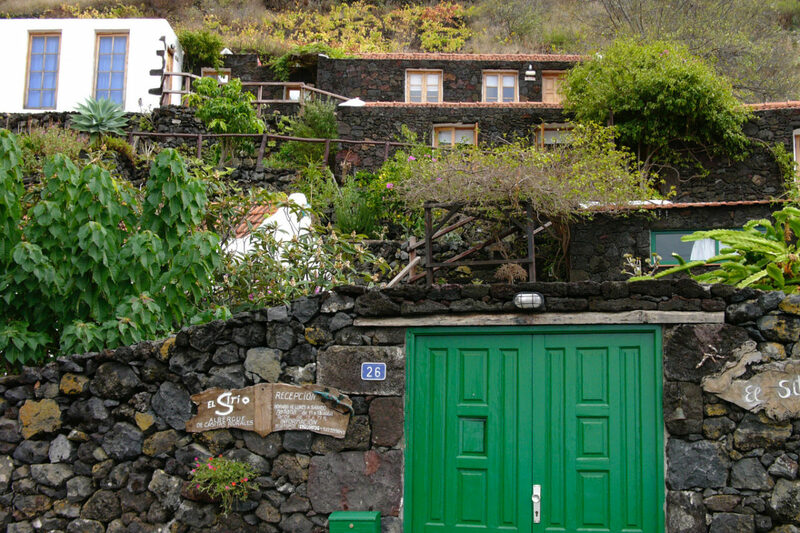 We have seven “casitas” nestling on the side of the mountain built around an old a wine cellar – “Bodega”. 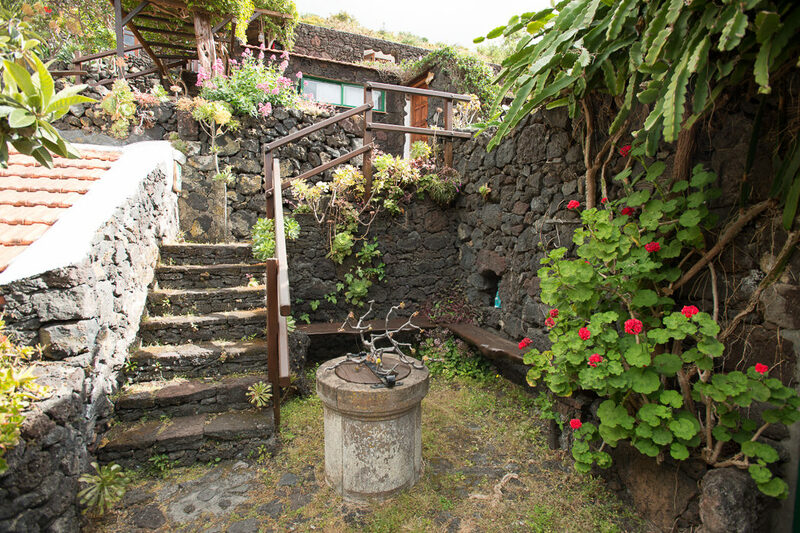 They are built in traditional El Hierro style from local lava stone, and can accommodate up to 16 guests. 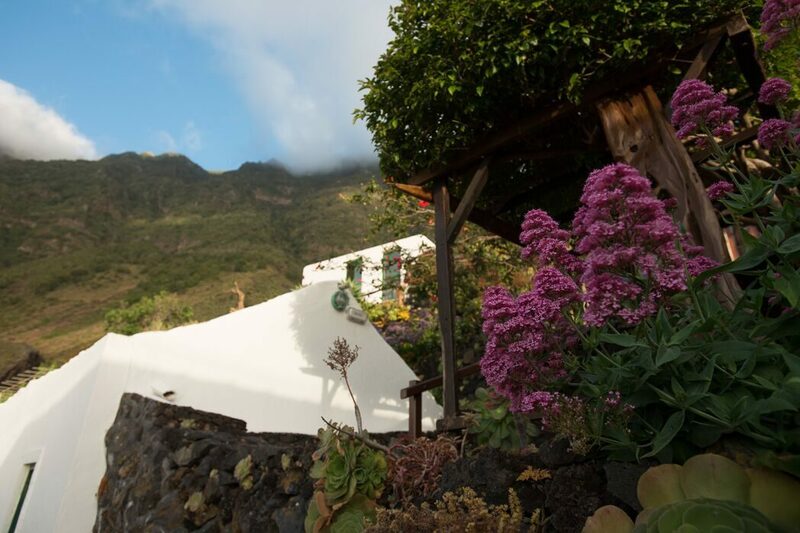 Each casita has an open plan space, for cooking, eating and relaxing and its own private bathroom; each is designed to comfortably house two to three guests. 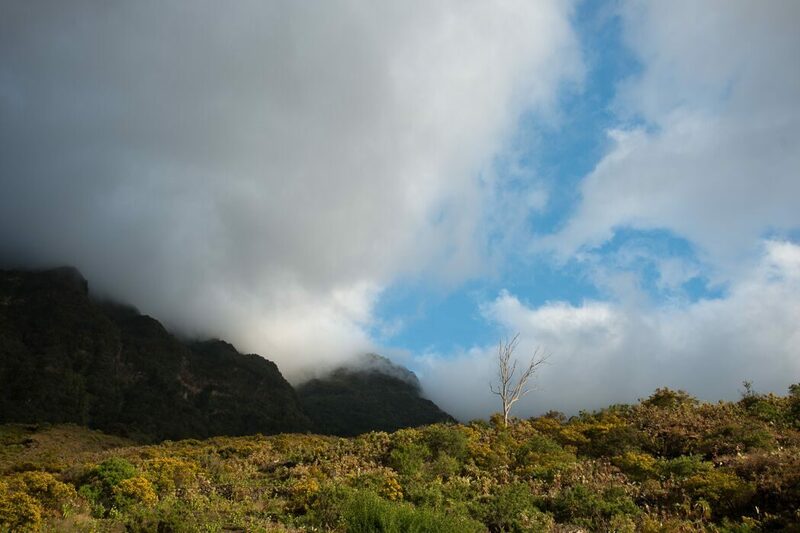 There is no TV or WIFI connection as our aim is to enable our guests to let go of the outside world and enjoy the here and now. 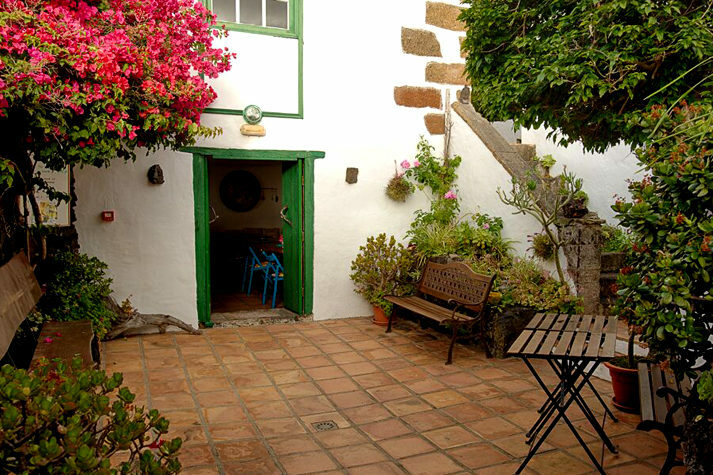 The whole development is surrounded by lush gardens of Canarian flora, and pathways that lead to the natural landscape. 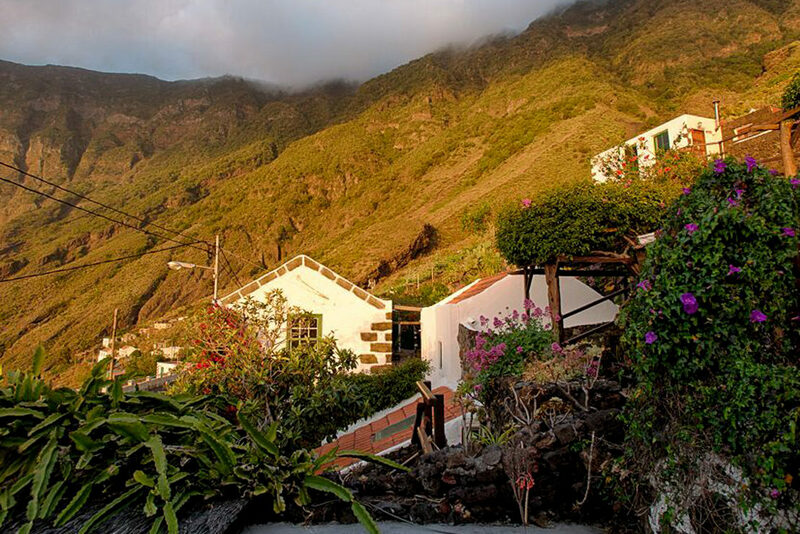 Our guests can make use of shared spaces such as the Barbecue area in the vegetable gardens and the various terraces with spectacular views of the sea and the valley of El Golfo. Our Yoga studio is available, with a wooden floor perfect for exercise, social or arts activities. We also have a massage room and the Bodega-Reception area, a place to meet and gather for all our guests with a communal kitchen for groups or larger families. Here we do have WIFI.